So March saw us return to Poulter Park in Sutton for a spring clean. Our event was supported by the Big Green Fund, with 48 volunteers attending to litter pick, wade and plant trees in the park. It was a busy busy day! What’s the Big Green Fund? With so many jobs to do we divided into 3 teams: waders and their support, litter pickers and tree planters. Peter Wilkinson (BGF Project) led the tree planters armed with spades (which I have learnt are different from shovels) and over 200 tree saplings to the chosen sites marked out with paint. 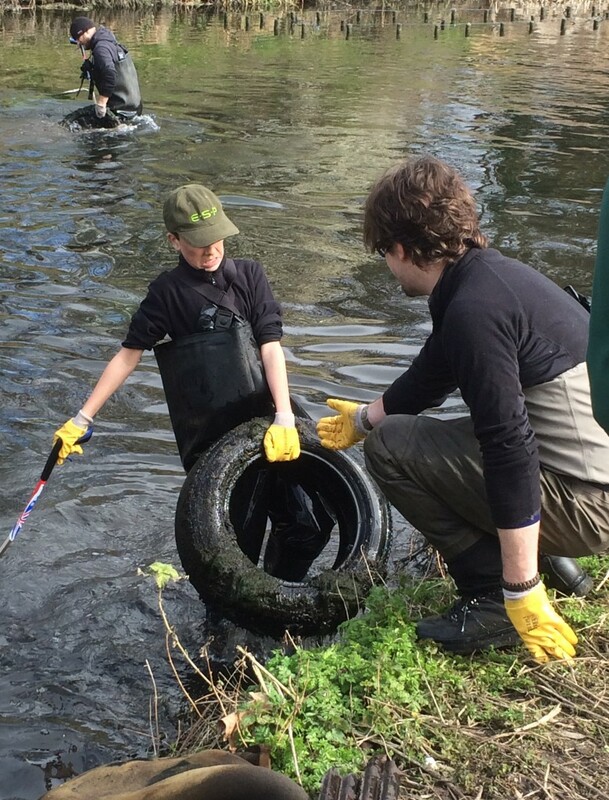 Meanwhile litter pickers were dispatched and waders hopped in the Wandle with team leader Theo. Pretty soon our wading team discovered a shocking number of tyres in the Wandle. It started with 5 being pulled out, which was crazy enough. But every time I came back to check on everyone there were more and more. The total at lunch was close to 60! As well as tyres we found other car parts including 2 car seats, a dashboard and licence plate. Which gave us an idea…. 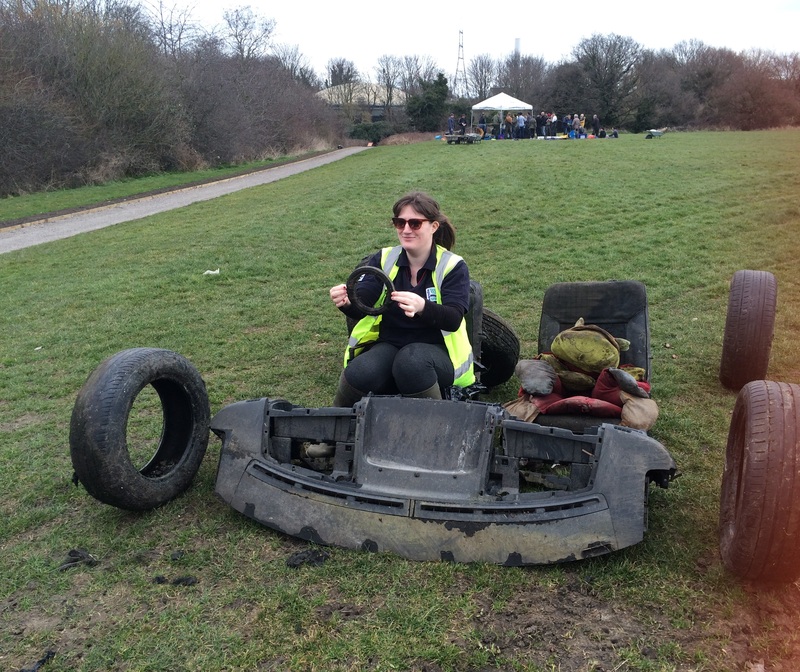 The litter pickers had their work cut out with bottles, cans and crisp packets carpeting the undergrowth in the park. By the time we stopped for lunch the rubbish pile was already one of the biggest yet and the park was looking much cleaner already. Sally made us a delicious Easter cake with mini eggs on top and Jana brought a homemade ginger cake and cupcakes; all of which we were very grateful for. 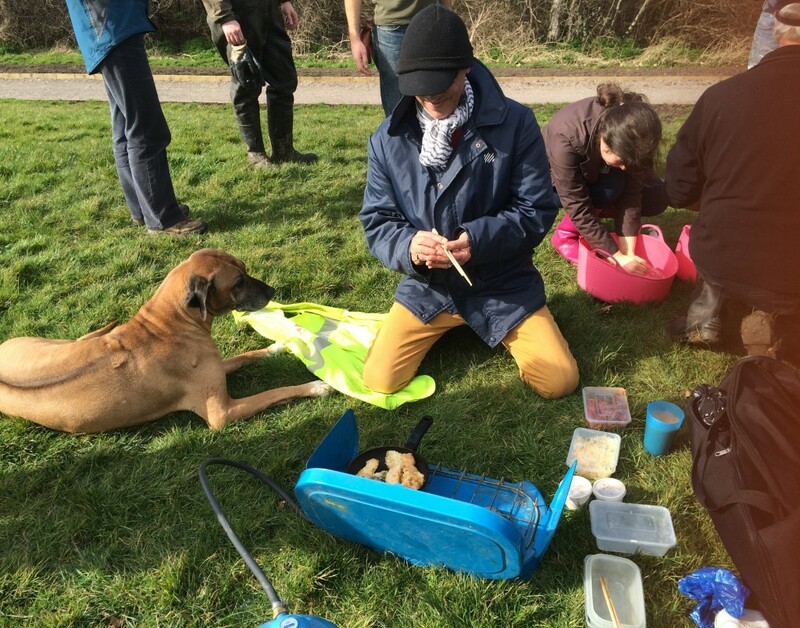 And one of our volunteers was prepared with a Chinese takeout for their lunch! After lunch we got right back to it. The tree planters finished off their third area having planted a total of 210 saplings. They then joined to help shift all the tyres we were finding. We never got an exact count but it was over 200! 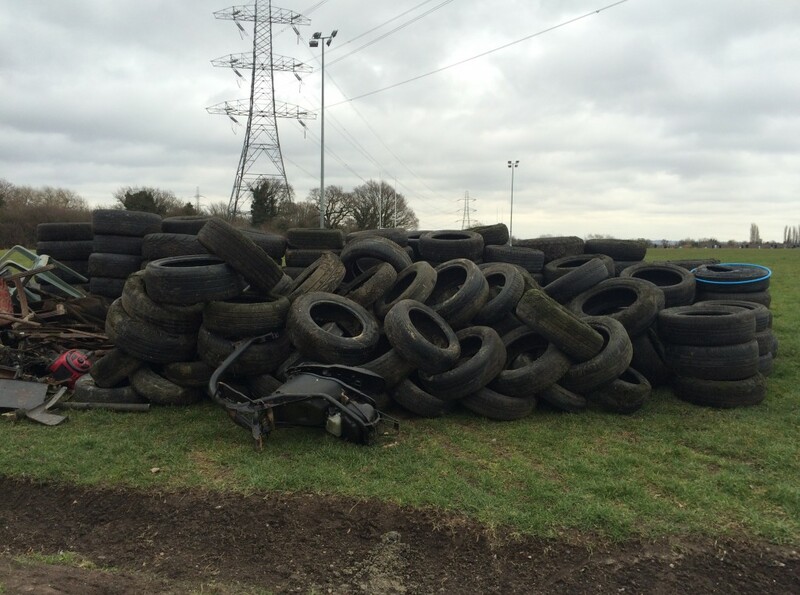 We all had different tactics to get the tyres to the rubbish pile. Some used wheel barrows, some carried two like body builders and some rolled them all the way there. 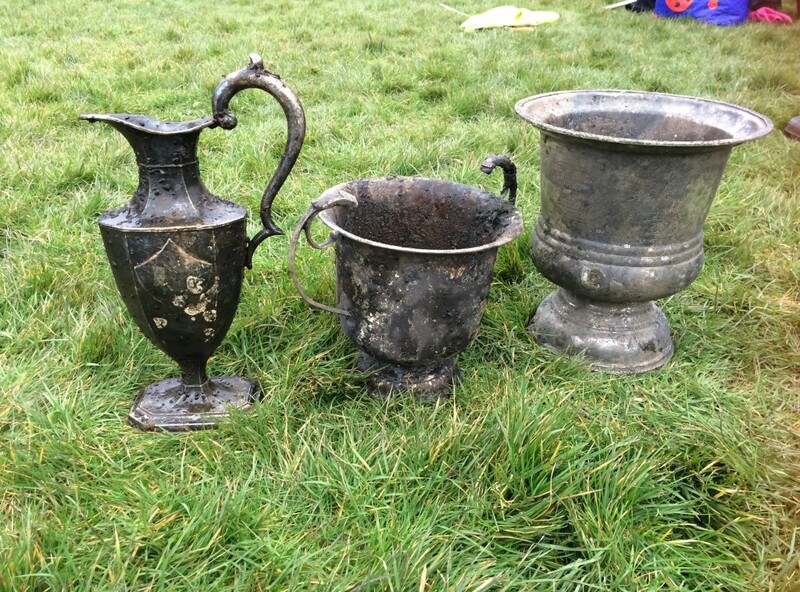 Although the tyres were the star of the day, we made several other discoveries including a set of 3 silver trophies! By 3 o’ clock we were exhausted and ready for home so we packed up the van and left the huge rubbish pile and 200 tyres for Sutton Council to collect in the morning – many thanks to them for organising this for us. So what did we find? 1 net, 1 table leg, 1 coffee machine with instructions, 1 boat oar, 1 diving shoe, 1 pram, 1 gas meter, 1 car dashboard, 1 watering can, 1 bucket, 1 tool kit minus the tools, 1 traffic cone, 2 stuffed animal toys, 3 trophies, 4 car seats, several bits of scaffolding, lots of random metal and piping, fencing, 50 bags of other rubbish and a record breaking 200 tyres! Huge thanks to Michael who met me in the morning to load up the van; Sally and Jana for catering for our volunteers; Theo and John for helping supervise everyone on the day and the Waste Management Team at Sutton Council for organising collection of all the rubbish the next day. 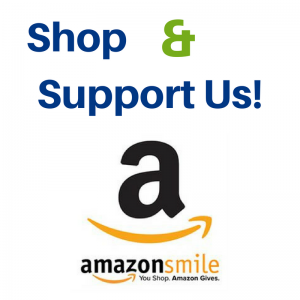 Thank you to all our volunteers for coming: Aaron, Abi, Alan, Alex, Barry, Bruno, Charles, Chris, Claire, Dave, David, Derek, Elliott, Gearoid, Helen, Ian, Jamie, Jan, Jana, Janet, Jason, Joe, John B, John L, John N, Ken, Lauren, Lloyd, Mark, Michael B, Michael H, Nicola, Per, Rob, Rose, Sally, Stewart, Theo, Tom, Tony and Victor. So what did I learn from this month’s cleanup? That you never know what surprises the Wandle will have in store for you. 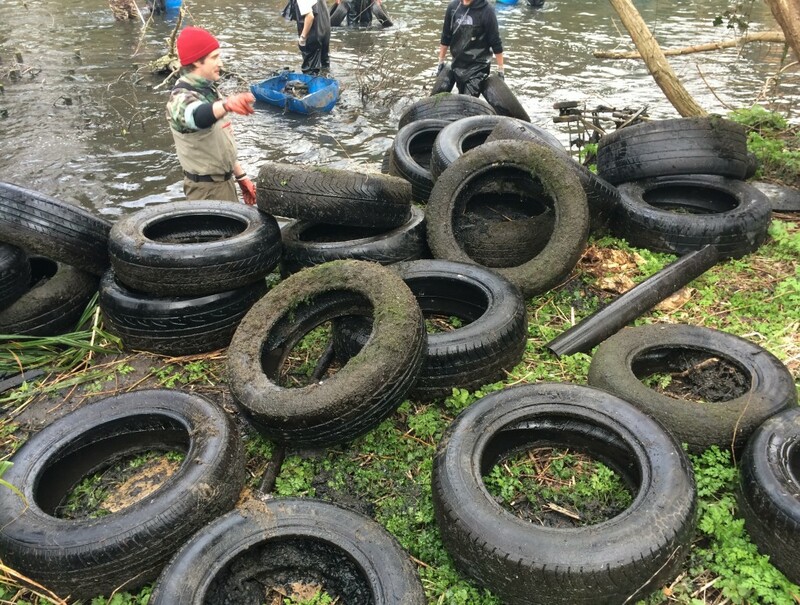 This entry was posted in Uncategorized and tagged Big Green Fund, Cleanups, Education, Events, Living Wandle Landscape Partnership, Media, People, Pollution, Spreading the Wandle Word, Wandle on April 13, 2015 by Polly. 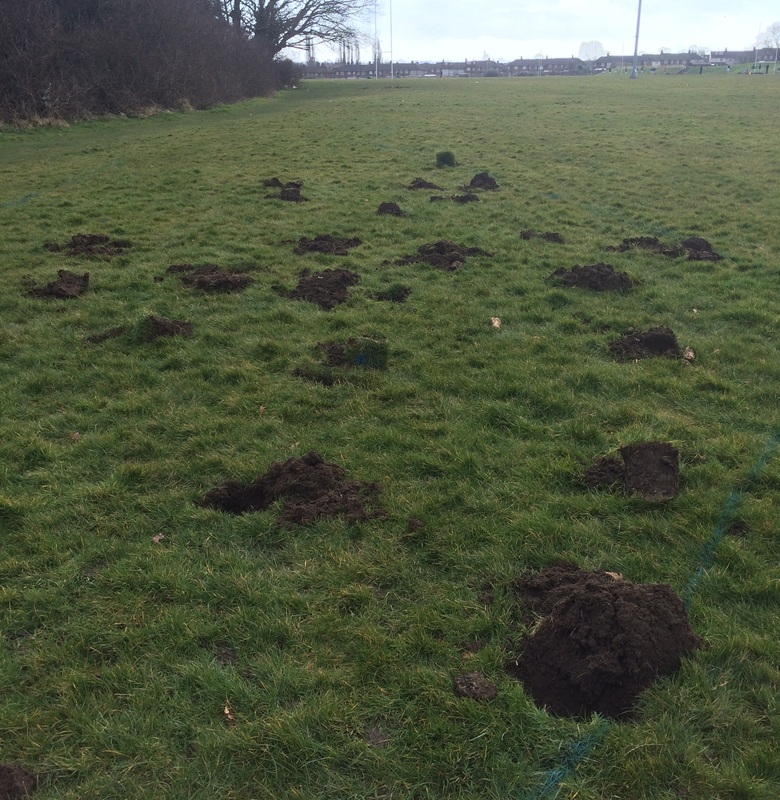 The Environment Agency were contacted and have since been investigating locally and raising awareness. Hopefully won’t happen again!